Low pressure side should run about 10 degrees cooler than space set point. Fluke 116/322 HVAC combo kit basic multimeter and amp clamp that will do anything in residential diagnostics. Fluke 87V Digital Multimeter if you are working on any Engineer MUA (Make Up Air) or RTU (Roof Top Unit) you need the percent duty cycle option to set up combustion motor speed sensor properly. D-TEK Select Refrigerant leak detector this leak detector is the best one I have used it is very sensitive and will find the smallest leak. Some people believe it is too sensitive, because sometimes when it is moved fast it will beep. If you use the meter properly by moving it slowly around the leaks it will prove to be the best meter on the market. I would rather have a few false readings then to miss a leak that would cause me to return to the same job site a few times on callbacks. Fluke Alert Voltage Detector A/C 90-1000 Volts-1AC-A1-II & A/C 20-90 Volts. I always carry one of these detectors around sometimes I can diagnose a problem with it or double-check the power for safety. Always test detector against known power and use meters to insure all power is turned off. Testo 510 Manometer is the best manometer I have found that will measure differential pressures. The unit has many switchable units of measure. Very accurate as mine is 6 years old and has never required calibration. Only complaint is max pressure 1.5 PSI. Powers Pneumatic Calibration kit 832-177 comes with Siemens adapters should buy Honeywell and Johnson adaptor kits as well in order to do all thermostats. Procore Ratchet Wrench 17-9568 only 5 degrees of operation is needed to use this wrench. All wrenches have opened end and ratchet box end, which makes easy work in tight places. Starter or breaker tripped possible faulty compressor start windings, a hard start kit can be used to make unit work but with my experience it only lasts a few months. Water Condenser should have 10-degree difference between water going in and water going out. 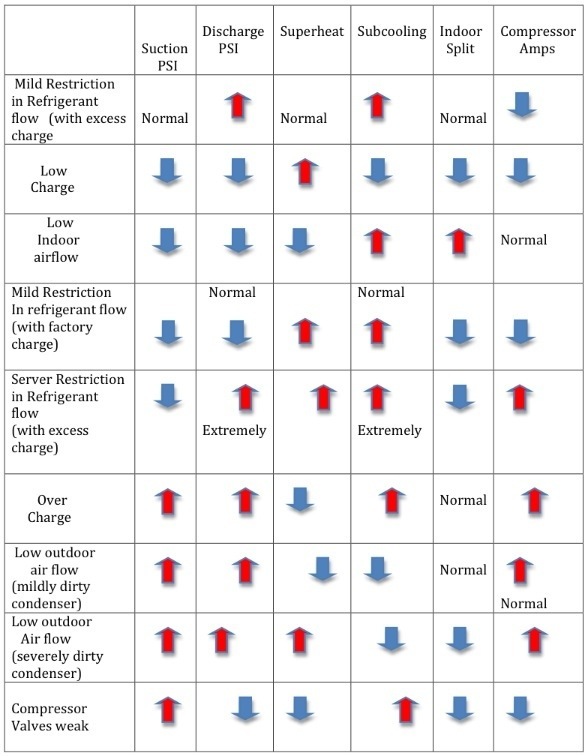 Refrigerant charge could be over charged check subcooling. Faulty high-pressure switch test switch at normal pressures it should be normally closed. In heating mode possible low/no airflow over the Evaporator. Most leaks will be found at the access fittings where we connect our gauges. I have found leaks at water condenser, Evaporator, and on copper line where they had rubbed against each other until it created a hole. If 0 pressure leak search with 150 Lb nitrogen repair leak vacuum all moisture out of system to 500 microns, recharge by weighing in refrigerant. When arriving at a system you find it has 0 PSI Refrigerant pressure most likely the leak will be located on the liquid or discharge side of the system. Climate Master leaks are very hard to find in the past I have found them on the evaporator. Pressure tests may seem to hold due to the small leak, But if 0 PSI then you do have a leak. 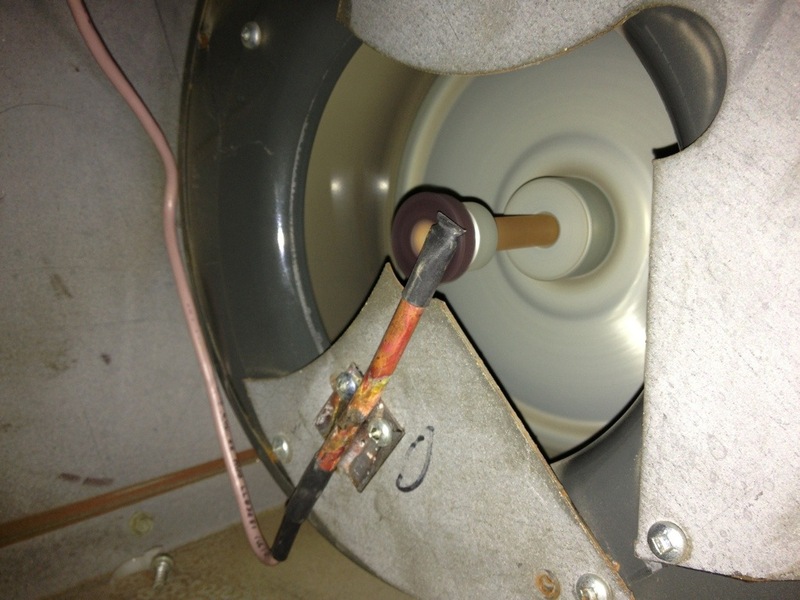 Look for oil stains anywhere on piping pressure test, refrigerant leak detector until you find the leak. Cooling mode reduced or no water flows to water condenser. cooling mode reduced or no air flow. Always have Trap installed next to heat pump. Compare main power supply voltage and 24VAC before and during operation. 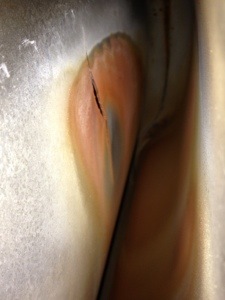 Heat exchanger can crack for various reasons and should be checked every time furnace is repaired or maintained. 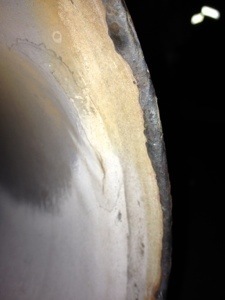 You will find most cracks form near the back and where the heat exchanger metal bends, Since this is where it will be weakest due manufacturer weakening the metal by bending it. This test worked best on the old Lennox G8 and would find cracks or pinholes on the heat exchanger that sometime could not be seen. Test for carbon monoxide at return air as well at supply air and compare the two readings or test at supply air with burners on then off making sure furnace is not back drafting and compare. 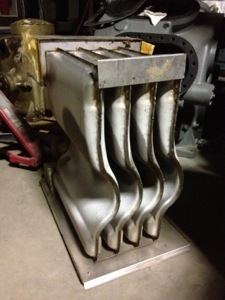 If you take reading once and only at supply air you will not be 100 percent sure the problem is with the heat exchanger. You are testing the accumulation of carbon monoxide over a long period of time from other sources like the furnace or hot water tank back drafting also it could be from outside sources like a vehicles near the intake air. If the furnace does not have enough combustion air it will cause the furnace to run hotter then designed. 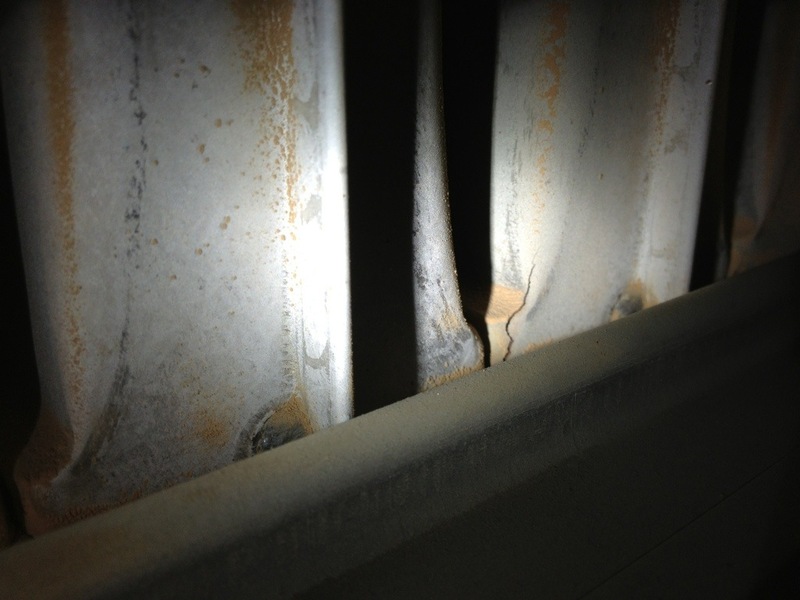 Then with more expansion and contraction in the heat exchanger it causes cracks. 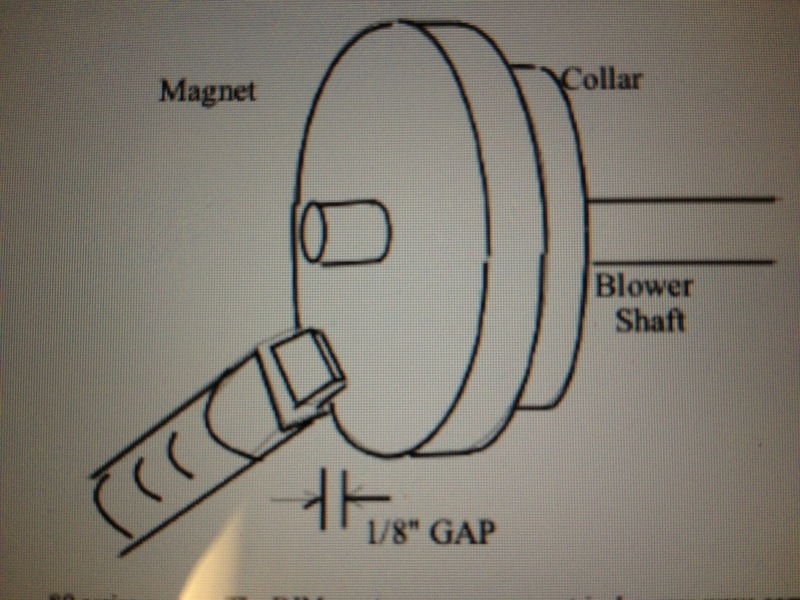 The gas pressure must be set as per furnace name plate derated for location altitude if too much gas heat exchanger will run too hot.Blower speeds must be checked by comparing furnace temperature difference to name plate rating if running too hot increase fan speed and recheck temperature supply air minus return air.